Give yourself the pleasure of watching your pet play in your yard without the worry! How Would You Like To Keep Your Pet Safe At Home Where It Belongs ? In No Time, Your Pet Will Be Running And Playing Safely In His Yard. Call Jim Egan today at 413-529-0959 to see how he can improve your home environment for both you and your dog. Let his 22-years of Dog Fencing experience give you and your dog the freedom you BOTH deserve..
You want to keep your pet safe and happy in your yard without worry. Your Western Mass Dog Fence expert, Jim Egan, can help you achieve that goal. His 22-years of Dog Fencing and Dog Training expertise provides a proven path for success. Just read the testimonials Jim has received from his satisfied clients. Jim believes success in Dog Fencing services rests on three principles of excellence: (1) provide the best equipment and materials, (2) thoroughly train the client and the dog to ensure a sustained, successful outcome and, (3) follow-through with the entire client base to provide truly outstanding customer service. Remember, not all electric dog fences and dog fence companies are created equal. Jim relies on the state of the art electronics provided by the Contain-A-Pet brand. And, because Jim is a dog training professional, he can evaluate each and every pet based on their personality and temperament to insure a fast, humane and safe adjustment to your installed system. Contain-A-Pet of Western Mass is so confident that we can achieve success with you and your dog that we offer a full one-year pet containment guarantee on each Contain-A-Pet dog fence installed. All we ask is that you follow our guidelines. We are the first and the only underground dog fence company in the World to offer such a guarantee. Let Jim meet you and your dog. Let us show you what we can do to improve the quality of both your lives. Give me a call. See what I can do for you and your pet that no one else can. The estimate is free. There is no obligation whatsoever. I promise you will learn something about your dog you didn't know before! My number is 413-529-0959. We understand it is helpful if you can get to know the person behind the company you will be dealing with, especially when it comes to your family members. If you’re anything like us, your pets are a huge part of your life. I will provide you a free estimate to contain your pet. You will get a chance to meet me and I get a chance to meet your pet. Contain-A-Pet of Western Mass Electronic Dog Fence system includes the dog fence transmitter (wall unit), underground dog fence collar (electronic box attached to the dog collar) and a professional dog trainer to guide you and your pet safely through the training process. It's quick and easy and comes with a containment guarantee. 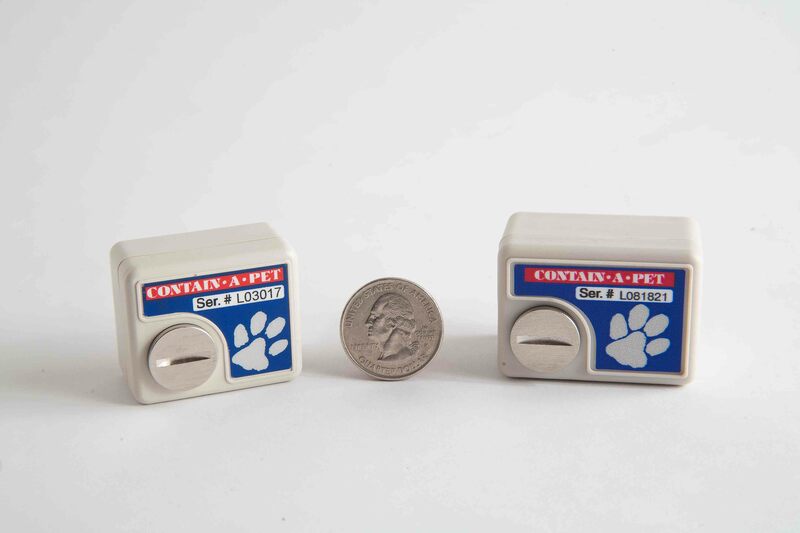 Contain-A-Pet of Western Mass allows you to feel secure in the fact that your dog is being contained safely at home while you are at work or at play. We are a FULL SERVICE company and TRUE DOG PROFESSIONALS that will be there for you if you ever need us. Hopefully, this will give you the peace of mind you deserve and need for your pet! I have been a Contain-A-Pet Underground Pet Fencing owner for over 12 years. The staff is professional, the product is great, and my dogs are happy with being able to walk in the yard without a fence or on a leash. I hired Jim Egan and Contain-A-Pet 3 years ago to create an electronic fence for my two dogs: a Lab and a Catahoula Leopard. The system is great for it gives them freedom of our large yard. My Dogs Love Their Freedom !